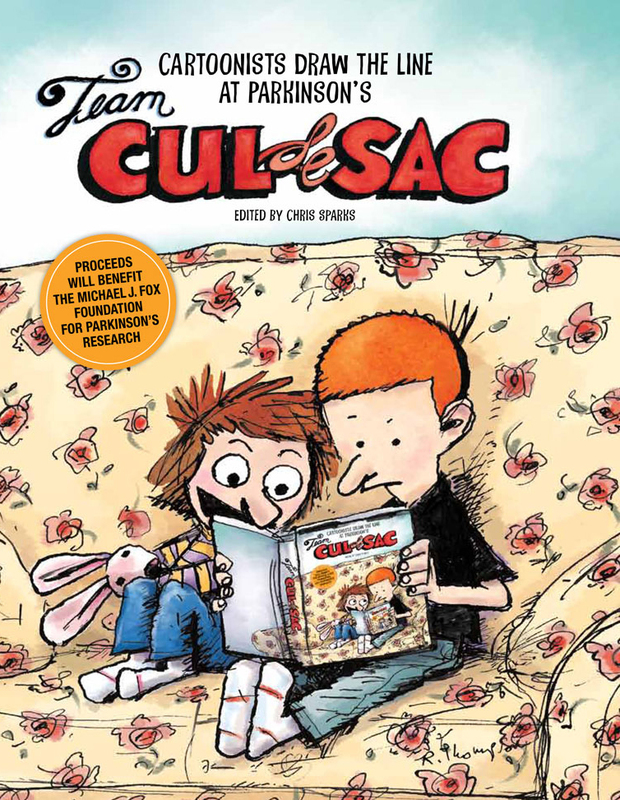 Team Cul de Sac art auction is open! 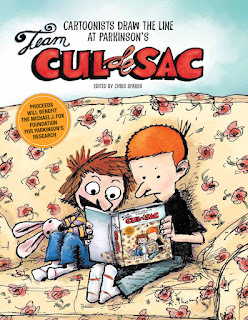 Heritage Auctions is taking bids on the Team Cul de Sac artwork. http://comics.ha.com/common/auction/catalog.php?SaleNo=510 - bid early and often! See http://dailycartoonist.com/index.php/2012/05/23/team-cul-de-sac-book-is-fantastic/ for Alan Gardner's opinion. The book looks great! I (Mike Rhode) just got a review copy in the mail due to my Washington City Paper column (which I'm sadly behind on contributing to). I won't be reviewing it of course, but I don't think anyone who buys this will be disappointed. This store is close to Richard's house, but we won't know if he'll be able to make an appearance until that day. Other local cartoonists in the book will certainly be there. Ken Budd (The Voluntourist) in the NY Times Travel Section and his interview on Fox 5. 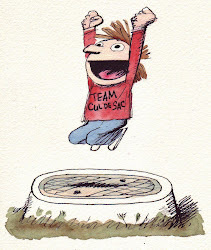 Bill Brown's done this cute panel for Team Cul de Sac.